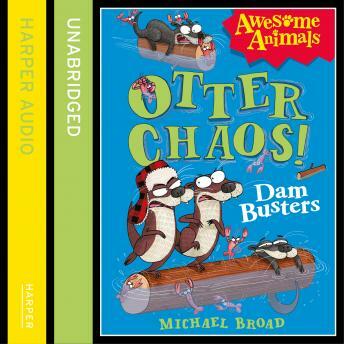 From the award-winning author of Space Mutts comes the second otterly chaotic title! Part of the Awesome Animals range - the funniest fiction staring the wildest wildlife! There's a new family on the river... the beavers. And they're ruining everything for the Otters. The beavers' big fat dam has blocked up the river and worse... it's stopped their supply of delicious crayfish! It seems like things can't get any worse for our otters until they discover a mountain lion has also moved in. Can the riverside families overcome their differences to scare off this hungry-looking foe?